This printer for SpectraAlyzer instruments prints multi-component measurement results for quick archiving or information. Time and date stamps are included in the printout as well as property names. 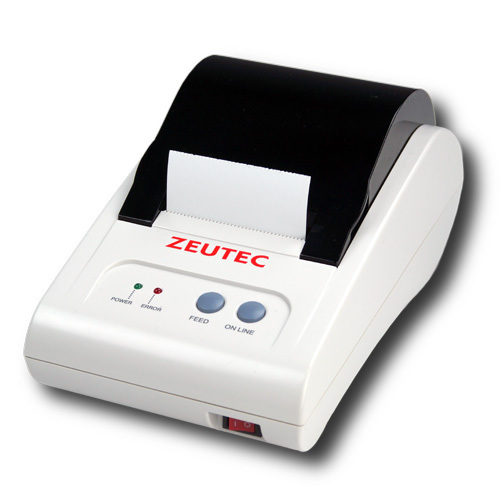 The printer is a portable thermal printer that offers an innovative alternative to impact based systems. Very light weight and compact size, easy automatic paper loading, end of paper and black mark sensors. It is powered by using an external self-detecting power supply. Communication with the SpectraAlyzer is established by RS-232 serial interface.